The Microsoft BUILD conference is typically a time when we release a lot of developer tools. This year we may have outdone ourselves. I’m going to talk a little about what we released today, but you’ll probably want to look at the announcements on Scott Guthrie’s Blog and Terry Myerson’s post on the Windows blog as well as Soma’s blog and Brian Harry’s blog. If you’d rather watch than read, head over to Channel 9 to watch the recordings. The very short version is that we released Visual Studio 2015 Release Candidate (RC), .NET Framework 4.6, Team Foundation Server 2015 RC, and Visual Studio 2013 Update 5 RC and also a preview of a new tool that runs on MacOS, Linux, and Windows called Visual Studio Code. You may want to kick off those downloads while you read the rest of this post. Download Visual Studio Code. The big announcement of the day is a new member of the Visual Studio family. Visual Studio Code is a free, lightweight, cross-platform code editor for Mac OS X, Linux, and Windows. It includes many of the features Visual Studio you’ve come to love, such as IntelliSense, peek, code navigation, and debugging, but it centers on being a keyboard-centric editor. It supports a wide range of languages with enhanced support for Node.js and ASP.NET 5. To learn more head over to the Visual Studio Code docs, watch the demos from BUILD, learn more about the team, or read this blog post and follow Visual Studio Code on Twitter. Download Visual Studio Enterprise 2015 RC (English). You can now download the VS Enterprise 2015 RC in English (or go here for other languages and editions). We’re in the end game for VS 2015 and would love your feedback. 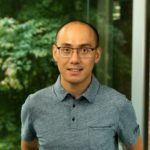 In addition to the many new features in this RC itself, we also released a cohort of related technologies: Tools for Apache Cordova (uninstall previous versions first, please), Entity Framework 7 Preview, ASP.NET 5 Preview, tools for Docker preview, and updates to the emulator for Android. You can get the entire list of what’s new in the Visual Studio 2015 RC Release Notes. Download Team Foundation Server 2015 RC. Download the TFS 2015 RC and give us feedback on the new capabilities such as updates to the Kanban board, policies to enables gated builds, and better code review. As always, the Team Foundation Server 2015 RC Release Notes have the full list of what’s new. Download Visual Studio 2013 Update 5 RC. This update includes everything from the previous CTPs plus enhancements for TFS and Visual Studio Online including the ability to easily run load tests by using TFS. Once again, the Visual Studio 2013 Update 5 RC Release Notes have the full list of changes. You can download the releases from the links above or from MSDN subscriber downloads. You can also use an Azure VM image to try out any or all of these releases. There’s a lot in the RC of Visual Studio, from improvements to the editing experience (e.g. light bulbs, CodeLens, and code maps) to improvements to the sign-in experience. Let’s start with something many of you have asked for – an improved VS SDK for VS 2015 – then talk about a few other highlights of the RC. Creating Extensions for VS 2015. With this release, the VS 2015 SDK is available for download. 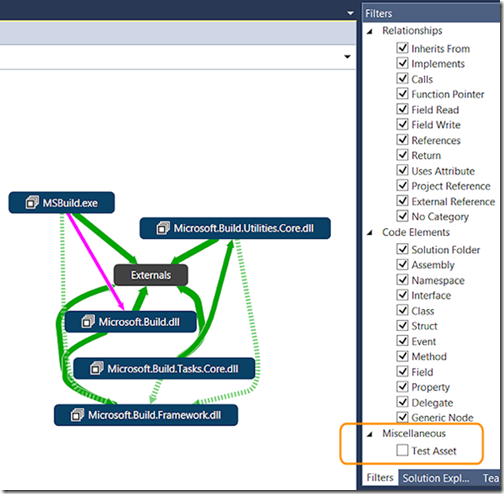 We’ve improved several aspects of building extensions for VS 2015. For example, we created NuGet packages for Visual Studio SDK assemblies, so you can now reference these assemblies using NuGet Package Manager and share your extension code. We’ve also eliminated the need to use a project creation wizard or template to add a feature to your extension: simply by use an item template. More information is available on the VS Extensibility Dev Center, and check out the extensibility samples and the SDK documentation to learn more about building extensions. Debugger Improvements. Visual Studio 2015 addresses many of your requests, such as lambda debugging, Edit and Continue (EnC) improvements, child-process debugging, as well revamp core experiences such as powerful breakpoint configuration and introduces a new Exceptions Settings toolwindow. We also pushed the state of the art by integrating performance tooling into the debugger with PerfTips and the all new Diagnostic Tools window which includes the Memory Usage tool and the redesigned IntelliTrace for historical debugging. .NET Framework 4.6: cross-platform support and new JIT. Last fall we said we’d do it and today we did: .NET Core is now available on Linux and MacOS. Along with that, we’re starting to make changes in the framework to enable more cross-platform support (e.g. we’ve added new methods to support converting DateTime to or from Unix time). But there’s quite a bit more. For example, we added a new version of the 64-bit JIT Compiler, which improves performance over the existing 64bit JIT compiler. To get a quick view of all the improvements take a look at .NET Framework 4.6 section of the release notes and read the roll-up post on .NET blog. Sign in with work and school accounts in addition to MSA. In Visual Studio 2015, we have been improving the sign in experience. A notable update in this release: in addition to using Microsoft Accounts to sign into the IDE, you can now sign in with a work or school account. Visual Studio will manage your credentials and present them across different features and services inside VS, such as Azure and VS Online services, without extra prompts for credentials. Improved Notifications user experience. In Visual Studio 2013, we introduced the Notifications Hub to surface notifications to developers with information about their environment. Most notably, we used this area to tell you when an update was available to VS or a component in VS. In VS 2015 RC, we’ve added a new notification: VS will now give you an option to Learn more about a recent Visual Studio crash. There are now quite a few notifications you may get through this UI, so we’ve simplified the UI to only show one-line titles and descriptions, to categorize notifications, and enable you to ‘always ignore’ notifications that are not important to you. Office 365 to access calendars, contacts, mail, files, sites and users & groups. To explore the O365 APIs, you can use the API Sandbox in your browser. Other services can be discovered in the Extensions and Updates gallery using the Find more services link. Editor Improvements. We’ve continued to hone Light bulbs and the Error List. Light bulbs help you identify and fix common coding issues, in many cases “live” as you type your code, and take quick code actions (like refactoring, implementing interfaces and more) from right inside the editor. Error List is your one stop shop for navigating and correcting code-related issues in your solution, whatever their source, from compile and build to code analysis issues. Code Map. We’ve improved how code maps display and interpret test assets within solutions and how code maps carry that the context of your code through into the elements on the map. Learn more in this detailed post on latest changes in Code Map. Visual Studio Tools for Apache Cordova. Using Tools for Apache Cordova you can build, debug, and test cross-platform applications that target Android, iOS, Windows, and Windows Phone, all from a single Visual Studio Project. In this release we have broadened the number of devices you can debug to, to now include Android 4.4, Android 4.3 and earlier with jsHybugger, iOS 6, 7, and 8, and Windows Store 8.1. Support for Apache Cordova 4.0.0 is also now available. Learn more about the Visual Studio Tools for Apache Cordova. C++ Improvements. One of the requests we continually receive from C++ developers continues to be for more C++ standards support. In this release, we continue to deliver C++11, C++14 and even C++17 features to make it easier for you to write better, cleaner, and compatible code. Some of the features in VS 2015 RC include resumable functions (resume/await), generic (polymorphic) lambda expressions, decltype(auto), thread-safe “magic” statics and return type deduction. Recognizing that customers want to access application functionality on different mobile platforms, we made a major investment enabling multi-device development with C++. You can use Visual Studio 2015 to generate dynamic/static libraries, native-library applications, and Xamarin native applications targeting the Android platform. We also now support building iOS applications using Visual Studio 2015. So you can now write C++ code targeting the iOS platform and also be able to take advantage of our advanced code authoring features such as code sharing, cross-platform IntelliSense, refactoring, peek definition and more. The iOS support is still work in progress, keep an eye out for more on this soon. This is being released as Preview today so we’d love to hear your feedback. Check out Ankit Asthana’s BUILD talk “Building Multi-Device Applications in C++ with Visual Studio 2015” for more information including a few cool demos. For all things C/C++ related, visit the Visual C++ team blog. You can also find a list of all feature updates in this release in the Visual C++ section of the release notes. Improved support for high-DPI displays. We’re continuing to ensure that Visual Studio looks beautiful on high-density, high-DPI displays. As an example, we added a central image service so Visual Studio can use variable resolution icons, which means those in-between DPI scaling factors of 150 and 250% now look just as good as 100 and 200% and that images in VS are themed properly for high-contrast and across the in-box themes (Blue, Light, Dark). With TFS 2015 CTP released earlier this year, we expanded the basic license to include web-based test execution, agile portfolio management, work item chart authoring, and team rooms. This means that all teams of five or fewer members with a “Basic” license now have access to these features using Team Web Access for free, while larger teams can access this functionality at a much lower price point. This release includes all changes from the CTP release including expansion of the “Basic” license of TFS and also has many additional improvements. Policies – Gated Build and Code Review. If you are working with a Git project you can now set branch policies to require a successful build before any code can be submitted into a branch. You can also set branch policies on Git projects to require code reviews for any code submitted into a branch. You can also configure the policies to require a minimum number of code reviewers, as well as to require specific reviewers for particular paths and/or file types. Quick Code Editing. If you are looking to make quick code edits we have now made it easy to edit a file in version control directly from your web browser and then commit those changes straight back to the service. With every save, we create a new commit/changeset with your changes. You can use the diff view to see exactly what changes you’re making before committing the changes. If the file is a Markdown or HTML file, you can also preview your changes before you save them. Kanban Board. A new feature we’ve added to our Kanban board is called Kanban Split Columns. To track your work more effectively and help move work through the board, each column on your board is split into two sub columns—Doing and Done, making it much easier to track progress. As work moves through your board, it’s critical that you and your team are on the same page about what “done” means. In this release we provide a way for you to specify a definition of done for each column on your board. You’ll also notice that in RC, all the cards have a slightly updated look—cards are now a bit wider, and have a solid white background (instead of a colored background). These changes lay the groundwork for more customization options on the cards, including adornments, additional fields, and tags. While these customizations options aren’t ready for RC, they’re coming soon, so stay tuned. Learn more about working with Kanban boards in TFS. To read about all these changes in further detail, check out the Team Foundation Server 2015 RC Release Notes and Brian Harry’s blog. At the start of this post, I mentioned that there are many other tools available alongside this release. Let’s start by highlighting some of Visual Studio 2015’s device support for Android and Windows, and work through a few others. Visual Studio Emulator for Android. Our fast, free, Hyper-V compatible emulator for Android gets even better in Visual Studio 2015 RC with an update that adds Device Profiles and WiFi simulation. We’ve curated a set of profiles that represent the most popular hardware in the market, including devices from Samsung, Motorola, Sony, and LG, so that you can debug and test your Android app across a wide range of screen configurations, Android versions, and other properties. Manage your device profiles using the Emulator Manager, accessible from Visual Studio under the Tools > Visual Studio Emulator for Android menu option. Visual Studio 2015 Tools for Docker Preview. Today we are also making Visual Studio 2015 RC Tools for Docker – Preview available to you. This enables you to provision Azure virtual machines containing the docker engine, and we provide both UI tools and scripts to package and deploy your Web application or console application to Docker hosts. This is a helpful companion tool to work with .NET on Linux. Microsoft Azure SDK for .NET 2.6. This release provides new and enhanced tooling for Azure development with Visual Studio 2015 RC and Visual Studio 2013 Update 5 RC, including Azure Resource Manager Tools, HDInsight Tools, and various improvements to diagnostics for Cloud Services. Read this detailed blog post to learn more about what’s new in this release of Azure SDK 2.6. Entity Framework 7 Beta 4. The latest version of Entity Framework enables new platforms and new data stores. Windows Phone, Windows Store, ASP.NET 5, and traditional desktop application can now use Entity Framework. EF7 also supports relational databases as well as non-relational data stores such as Azure Table Storage and Redis. This release includes an early preview of the EF7 runtime that is installed in new ASP.NET 5 projects. For more information on EF7, see what is EF7 all about and read this blog post for details. ASP.NET 5 Beta 4. ASP.NET 5 Preview updates the runtime with a lightweight request pipeline and continues cross-platform support by running on Windows, Mac, and Linux. You can view the entire list of changes in the ASP.NET section of the release notes. Additionally you can read about these features in detail on the blog post on ASP.NET blog. What does “release candidate” mean? Side by Side. Visual Studio 2015 RC works seamlessly side-by-side with Visual Studio 2013. Install over Preview. You can install VS 2015 RC on top of VS 2015 Preview without the need to uninstall Preview. Since there is no upgrade path from TFS 2015 Preview, you will need to do a fresh install of TFS or upgrade from a previous TFS RTM release (such as TFS 2013 Update 4). You will be able to upgrade from TFS 2015 RC to TFS 2015 RTM. Windows 10 with VS 2015 RC “go-live.” Applications built for Windows 10 cannot be distributed or uploaded to the Windows Store. Instead, you will need to rebuild applications built for Windows 10 using the final version of Visual Studio 2015 before submitting to the Windows Store. ASP.NET 5 Preview with VS 2015 RC. ASP.NET 5 is still in preview and is not recommended for production use at this time. You are free to use ASP.NET 4.6 in production. Upgrade to RTM. Upgrading from RC to the final release (“RTM”) of Visual Studio and TFS 2015 should be smooth. For TFS, the upgrade from RC to RTM will work as it always has: You will need to install the latest TFS build and then run the upgrade wizard. Please note that TFS replaces whatever is installed on your computer, so make sure you have a full back up of your current databases. In Production Support. If you have questions that aren’t addressed above, check out the Visual Studio 2015 RC Release Notes or you can submit them on MSDN Forums which are frequented by Microsoft MVPs and members of the product group. All that said, while we have done a lot to make this release safe to use in production environments, please take adequate measures to back up and protect your data prior to (and after) upgrading to RC. As you use RC, please give us your feedback, suggestions, thoughts, and ideas on our UserVoice site, through the in-product Send-a-Smile and Send-a-Frown UI, or file a bug through the Visual Studio Connect site to help fine tune the final release of Visual Studio.